Improvement in performance of GRC and a greater exploitation of its potential. Better understanding of fracture processes and their control in service life. 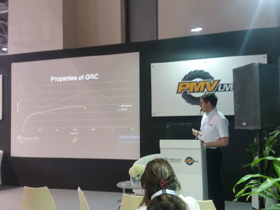 Development of reliable numerical models for prediction of GRC behaviour/properties. Research in support of Standards and performance testing regimes related to GRC. Potential sources of funding for GRC-related research. Staff from academic and industrial research institutions with past/current activity in GRC or from centres with a related research. Researchers new to this subject area, with facilities and interest in GRC research. Staff from companies producing GRC, its constituent materials and GRC structural designers. Number of participants will be limited to 50 in order to allow everyone to engage actively in discussions. Two morning and one afternoon sessions (9:00-12:30 and 14:00-15:15) followed by summing-up (15:30-16:00). Each session to be moderated by a session chairman. Tea/coffee at registration (from 08:00h) and at breaks. Buffet lunch. Optional visit to research facilities (nanotechnology etc.) of the Faculty of Civil Engineering after the Workshop. Number of participants will be limited to 50, on a first-come first-served basis, in order to allow everyone to engage actively in discussions. 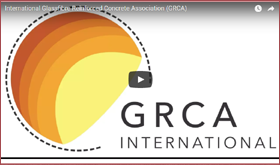 Further details will appear here when available, or please contact International Glassfibre Reinforced Concrete Association (GRCA) to discuss the International Workshop on GRC Research further.